In the process of accommodating the influx of new business technology, many data centers are being stretched to their physical limits, pushing IT leaders to look towards expansion strategies such as colocation. However, the loss of control that is implicit with colocation can quickly raise concerns. 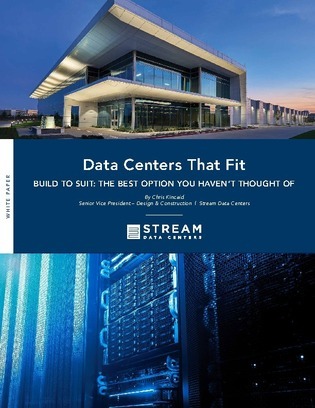 Continue reading to learn about a data center design alternative that aims to address control and security concerns, while still deliver the capacity and performance needed to power the technology your business relies on. Plus, learn five evaluation criteria to measure if your company is outgrowing its current data center.